Get 60% off on Wideo Video editor tool, This Wideo Coupon will give 60% off an annual plan for Agency. Wideo is a video tool that competes for a project or a presentation. This online video tool can be used by everyone. School children can create a video for holiday homework, the college student can use wideo for assignment and for business it a multi-purpose tool. Wideo Coupons gives extra discount on different wideo plans. Wideo used to make professional videos in a few minutes, it can be used to give the intro about a projector can be used a guide which can tell how to use a product or service. This editing online tool is also used by SMEs and startups. 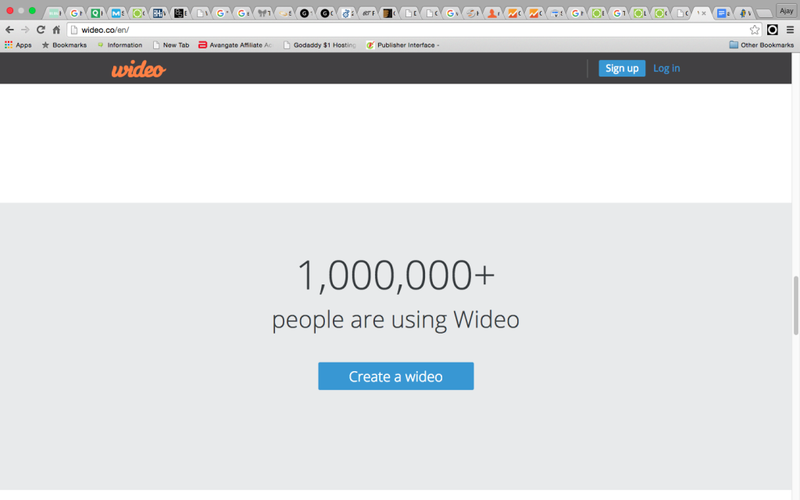 Right now wideo claims that more then 1000000+ users around the world are using the online video making and editing tool. Who knows you can be the next one, so save extra bucks by using Wideo Coupons 2019. How wideo online video making and editing tool works? 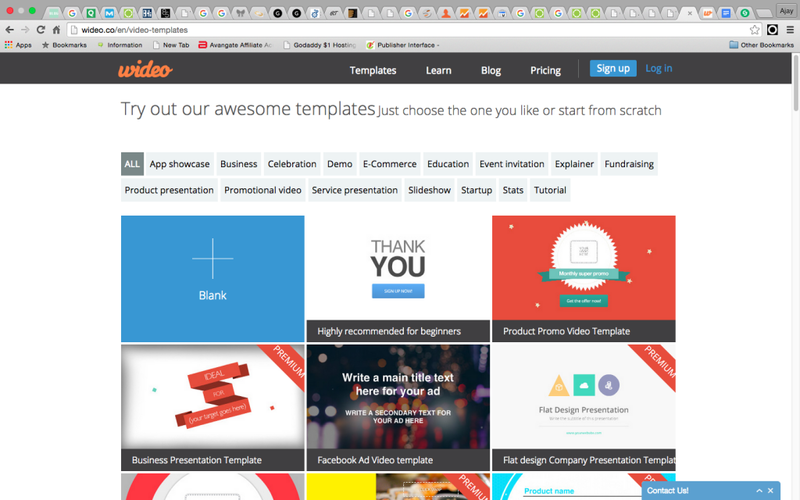 The online video tools come with 100 pre-defined video templates or you have options to start with a blank template. So you can create an animated video with sound effect, this is a perfect tool for marketing. It's easy to use and you can easily manage images, background, and sound while making and editing online through wideo. You can even go for a free plan, where you can make 45 sec intro video and if you like then upgrade to paid plans. Wideo Coupon Codes help to save money on its paid plans. Plus plan starts with $9 comes with 90 Second video making capability. Pro Plan billed at $19 per month with increased in video timing to 180sec and support HD quality. Agency plans billed at $ 39 per month which comes with unlimited video making time and Full HD support. You can also save extra on annual billing and Wideo Promo codes on this page will give more discounts. For support, they have complete video tutorials and data that help us to learn to use their product. We can also contact them through smile@wideo.co which they rely as soon as possible on. We will suggest you first start with free trial and then go for $9 plan. This will make sure that you want their service or not. This is a web-based software that can run on any operating system with help of browsers and this is the biggest plus point of the software. There many alternatives to the software as a desktop version, But we don't know any other online service expect YouTube which doesn't have complete features of Wideo. Wideo Coupons Reviews - Taken from other websites.